Some people with certain medical or inherited conditions can’t absorb enough vitamins and minerals the natural way – through the stomach or intestines after eating. These patients seed injections of important vitamins, minerals, and nutrients, and receive them through injections into their veins in a process known as intravenous or IV therapy. Alternative Medicine Associates and many other facilities around the world have extended this procedure to healthy people whose digestive systems are perfectly able to absorb nutrients. 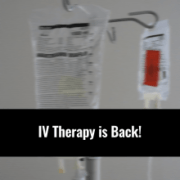 Intravenous vitamin therapy is one of the many services we offer at our center. The goal of IV therapy is to infuse a high dosage of vitamins and minerals for immediate use by the body. This means that the body will not have to take the time to break down items taken by mouth. It also means that you will get 100 percent benefit from each milligram that is infused and not the usual 25 percent when taken by mouth. By feeding the tissues considerable amounts of vitamins and minerals we give the body the opportunity to replenish depleted stores and optimize tissue function. IV therapy also ensures that a specified amount of nutrients enters the body and takes the guess work out of what the intestines can absorb. As a result of bypassing the intestines, much higher levels of vitamins and minerals can be delivered to the system than what is possible with oral supplementation. With many illnesses ranging from the common cold to cancer and other chronic conditions, the body’s nutritional requirement greatly increases and outpaces the intestines’ ability to absorb adequate nutrients. The result is nutritional deficiency. Nutritional deficiency as a result of illness can further worsen if there are digestive problems present, such as diarrhea, low stomach acid, low pancreatic enzymes, and bacterial imbalance. When patients come to Alternative Medicine Associates we customize each formula to meet the patient’s individual nutritional requirements. Based on lab results, one of the many vitamins used is Vitamin C, also known as ascorbic acid. Vitamin C is required for the synthesis of collagen, an important structural component of blood vessels, tendons, ligaments, and bone. Vitamin C also plays a key role in the synthesis of the neurotransmitter Norepinephrine. Neurotransmitters are critical to brain function and are known to affect mood. In addition, Vitamin C is required for the synthesis or carnitine, a small molecule that is essential for the transporting of fat to cellular organelles called mitochondria for conversion to energy. Vitamin C is also a highly effective antioxidant. Even in small amounts Vitamin C can protect indispensable molecules in the body, such as proteins, lipids, carbohydrates, and nucleic acids from damage by free radicals. Vitamin C is an immune system booster par excellence. 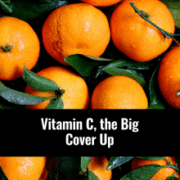 White blood cells use Vitamin C to combat infections, and in the face of inflammation or microbial challenge, levels of Vitamin C are depleted. Thus when confronted by stress we need an additional outside source of Vitamin C.
Today scientists recognize the crucial role that nutrition plays in supporting immune functions. Authorities on nutrition have long acknowledged the importance of macro-nutrients – adequate intake of protein and calories in maintaining the body’s defenses. Protein calorie malnutrition occurs when prolonged starvation, stringent self-imposed dieting as in anorexia, or in profound disease states such as cancer, it robs the body of its defensive capabilities depleting white blood cells as well as crucial immune system proteins. Therefore whenever we get sick the fastest way to recover is to replenish our lost vitamins and minerals in the fastest way possible – IV Nutrition.